I read an interesting article regarding cleat position on cyclingnews today. It runs through a detailed method of establishing cleat position based on 1st metatarsal head location. I like the theory behind this scientific approach to mounting your cleats. It’s not hard to see why Steve Hogg is held in such regard with this type of attention to detail. 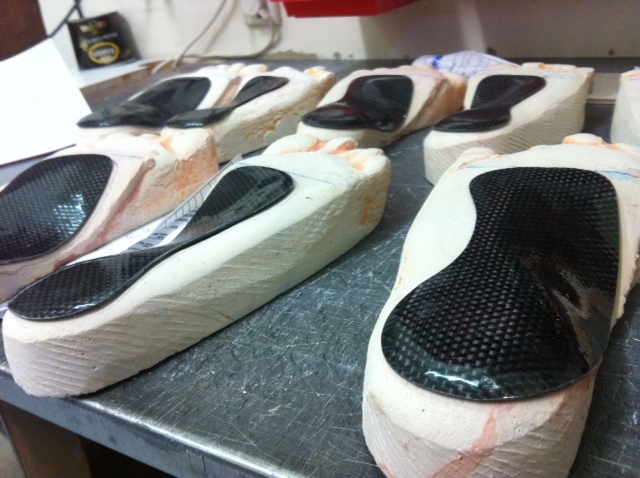 Steve touches on the use of orthotics inside your shoes prior to the fitting process. There is an important basis for this and I think it should be expanded upon. Quality and accurate cycling orthotics will alter the effective alignment of your forefoot. The effect of rolling in (pronation) and rolling out (supination) in the sub-talar joint (the joint you hurt when you sprain your ankle) effects the orientation of your forefoot. As the foot pronates, the forefoot tends to abduct (move out from your big toe). Supination of the foot will also cause mild adduction (towards your big toe). Naturally this movement related to sub-talar joint position will effect the ‘sit’ of your foot inside your shoe. Now, not everyone has large issues with this. Some feet pronate or supinate marginally and the subsequent effect is minimal. With those feet that tend to lie closer to the extremes, the effect can be significant. Enough to cause fitting issues, pressure and contact points inside your shoes, and even reduce the biomechanically effective nature of your pedal stroke. This is especially the case if the pronation is enough to ‘unlock’ the foot. There is a complex explaination to this, but I don’t wish to confuse the issue too much in this article. I may save that discussion for it’s own entry…..
Now for the solution. Cycling orthotics. Now please note – not everyone needs these. However if you want to reduce compensatory movement or just improve the ‘feel’ of you shoes there are a few options. I assume Steve Hogg loves ESoles because they are reliable, cheap and an easy way to ‘tick that box’. In terms of what is out there such as formthotics, superfeet and so on, ESoles are probably the best of the bunch with this type of option. You can choose a degree of customisation without too much expense ($60-100 US). They are however large and heavy and don’t ‘fit’ all foot shapes or shoes. 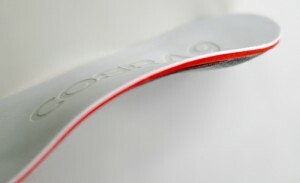 I also don’t like the fact that the cycling version looks ‘remarkably’ similar to the running version.At cobra9 we are currently investigating a 2nd tier semi custom device with the benefits of the lightweight cobra9 custom cycling orthotic without the requirement for a casting session. This will obviously represent a reasonable price point difference. Until such time as we feel strong enough regarding our product, we will stay out of this market as we have no interest in producing a mediocre product to fill a ‘void’. Some feet will find the benefits of ESoles ‘enough’ but I still feel the weight and cumbersome nature of this product counts against it. This options is quite simply – as good as the podiatrist/lab tech/orthotist etc. I have seen some decent devices made through podiatrists over the years. If you are lucky enough to have had your devices made by someone with some experience in cycling then the results will be better. Unless the podiatrist runs their own lab or is intensively involved in the process of fabrication then it can be a lucky dip.There is also a large cost burden involved with this option so you would want to get it right. A custom device will be costing upwards of $400 without the added costs of consults, casts, biomechanical assessments, follow ups etc. The real cost will end close to $600 or more (private health insurance will cover some of this). You better hope your talent is worth that expense. Now you know I’m going to love this option. This is after all an article on our website. Typically the firm prescription orthotics like the variety discussed in option 2 have not been the first choice of technicians like Steve Hogg in the past. They are heavy, expensive and have often been designed for heel – toe ambulation. A lot of time was spent in the development of the Cobra9 to ensure we hit the mark. The Cobra9 is fully customised. This is not an off the shelf ‘average’ profile of your foot. It literally is your foot in reverse. Take a look at the bottom of your foot (if you can). It is not a nice even shape and will have hollows and fat pads in unique locations. The Cobra9 captures this, corrects the alignment, then smashes your foot into the pedal stroke with carbon stiffness. You can handle this stiffness because the profile is customised. These are not for running! 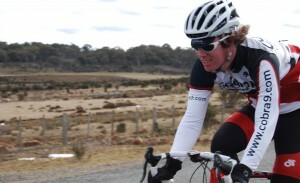 The other huge benefit of the custom carbon shell is the weight. The cobra9 often weighs half as much as the above options. HALF! Rotational weight reduction is going to help spinning up. Lastly, the cost. $398 sounds big, however much of this cost is mitigated with private health insurance. Standard mass produced orthotics often retail well above this price point. Plus you get a free pair of socks. There is a huge added bonus for those with private health insurance as well. Because the Cobra9’s are full prescription orthotics, your extras cover on your private health insurance normally covers you. It means some clients with emphatic private health insurance coverage often pay only as much as a pair of ESoles!! Thats right – a full prescription experience for the price of an ESole (health rebates vary – check with your insurer). I would have thought it was an easy choice to make. The reason why we don’t charge more is because we enjoy the process. It enables us to get involved in the cycling industry, meet avid cyclists and see new technology changes first hand. We love cycling as much as you do.